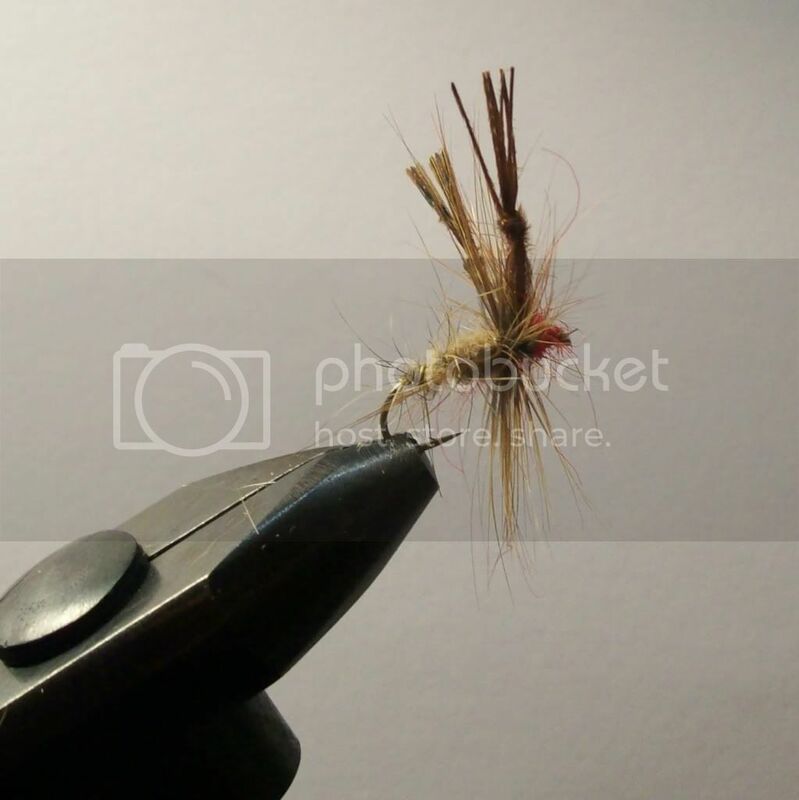 I made my first attempt at Mohican Mayfly this week. I chose this one partly because it looked easier than most. However, it’s main appeal was that it was the only one where I had the full list of materials. I left my floo gloo in London which seems to mean that (skillessness aside) I can’t really tie many of the patterns. So, foam and deer hair are not materials that I use often. Making the tail into even segments was a nightmare. You need more fingers and hands than I currently possess. The result is an ugly lump of a fly that really offends me. All credit to Mr Edwards, his instructions are easy to understand, if difficult to follow. Tying this pattern made me think of what I really want in a mayfly. To be blunt about it, I want poetry. The life of a mayfly is just so wonderful: a single day, to live, to love, to die. A prized morsel adored by all sorts of creatures, especially trout. On certain days they fill the skies, wisping and floating like strands of candy floss. As they emerge and later fall, they send fish into a sort of madness. The river boils with frenzied eating. Last year I saw a snow white mayfly. It was as if everything good and everything pure in this sullied world was embodied in that one single insect. I am going to assume it had a tragic end. I am not sure that fishing on those sorts of days should really be about tactics anymore. It’s simple fishing, I find a Turrel’s “rats condom” pattern most successful. There’s nothing gentle about it. It’s like dating with rohypnol. So, I’ve been working on a pattern that takes fly fishing’s gentle art as far as it can. I love the way that rivers can get dusted with mayflies and feathers in early summer. One a yummy, trouty treat, the other discarded bird waste. So, I have made a fly constructed entirely from duck feathers, teased and pinched into ephemeral form. Deception via gentle manipulation. I am pretty sure that these will cast horribly and fall apart should a trout ever fall for this feathery mimic. Style over substance? I hope so.